The great Yukio Ninagawa apart, South East and North East Asia have not figured greatly on our main stages. So Francis Turnly’s Korean/Japanese political/family drama comes as something of a shock. Indeed, it is a shocking tale, carrying with it intimations of past histories and global spheres of influence about which we, in the West, are quite literally shockingly ignorant. Whilst the West – Great Britain, France, Germany etc – were busy carving up areas of Africa, we scarcely paid attention – other than the Tea or Opium wars – to what was happening in the South China seas or spheres of influence where Japan and China have evidently been in a constant state of combat and tussle over control of that other, smaller land mass – Korea. Enter also since the end of the Second World War, those other two mighty adversaries, the US and Russia. It’s ironic to think that the present state of nuclear tension bears an almost direct link back to miscalculations taken by the US government in 1945 along the `38th parallel’ thereby splitting Korea in two in order to contain and hold in check Russian and communist intentions. Turnly’s tale of mistrust and betrayal actually spins on real life events: Japanese citizens abducted from coastal towns by North Koreans as part of a scheme to infiltrate and destabilise Japanese society. In terms of geo-political stratagems, it must rank as one of the more bizarre. But there is history between Japan and Korea, particularly Japan’s treatment of Koreans during WWII. Resentment and revenge linger. Turnly’s The Great Wave doesn’t dwell too heavily on political niceties except where it comes to Japanese Foreign Office officials looking uncomfortable trying to explain to relatives – much as is the way of our own FO and PM – about their inaction or necessity for treading carefully with another nation, for `diplomatic reasons’. Rather, the disappearance of Hanako (Kirsty Rider) one night in a great storm and the subsequent trials and vicissitudes of her family over the subsequent years, yields a sad tale of despair, determination, quiet courage and ultimately tragedy. 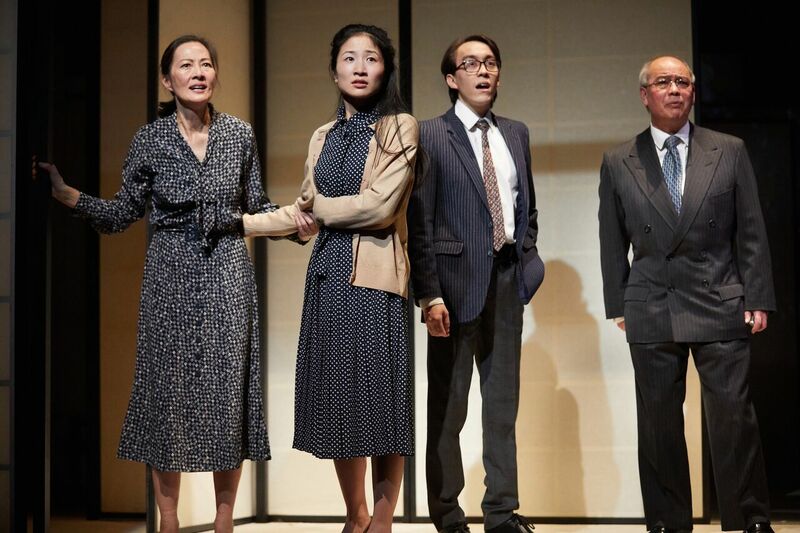 Indhu Rubasingham’s swift moving production slips us back and forth between her Japanese family – mother, Etsuko (Rosalind Chao) and sister, Reiko (Kae Alexander) – and her North Korean `minders’. 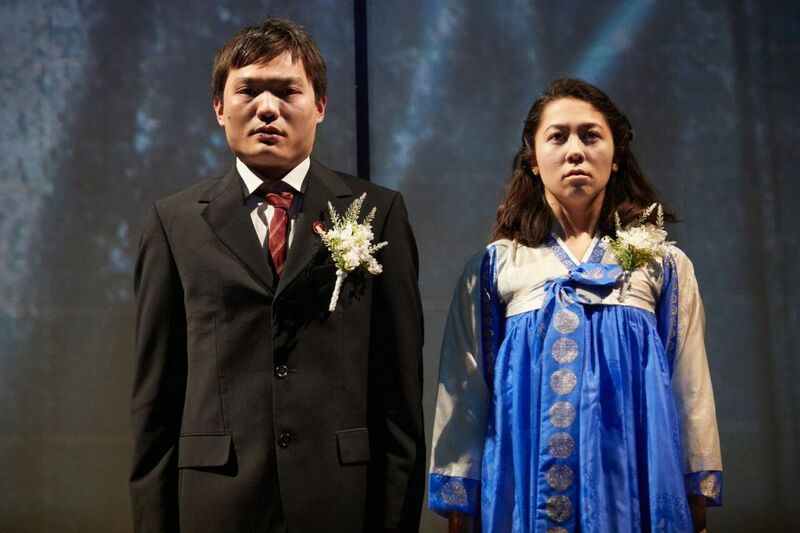 And indeed, Turnly’s play is at its most revealing and absorbing in its portrait of these two opposing cultures as Hanako is instructed to teach a young Korean how to `become Japanese’ – the single most arresting aspect emerging as the West’s taken-for-granted life of `choice’ as opposed to its non-existence in North Korea’s demand for total obedience to The Great Leader. Ultimately, Turnly produces a climax of tense emotional uncertainty. Will Hanako be allowed to return to Japan in a twist of fate and changing political dynamics (in much the same way as we have witnessed again with a certain `thawing’ in recent days between North Korean and US leaders)? Suspicions linger and The Great Wave produces a surprising ending. Suffice it to say that though Turnly’s dialogue sometimes appears oddly stilted and unreal, the performances of all concerned will keep any spectator completely absorbed. 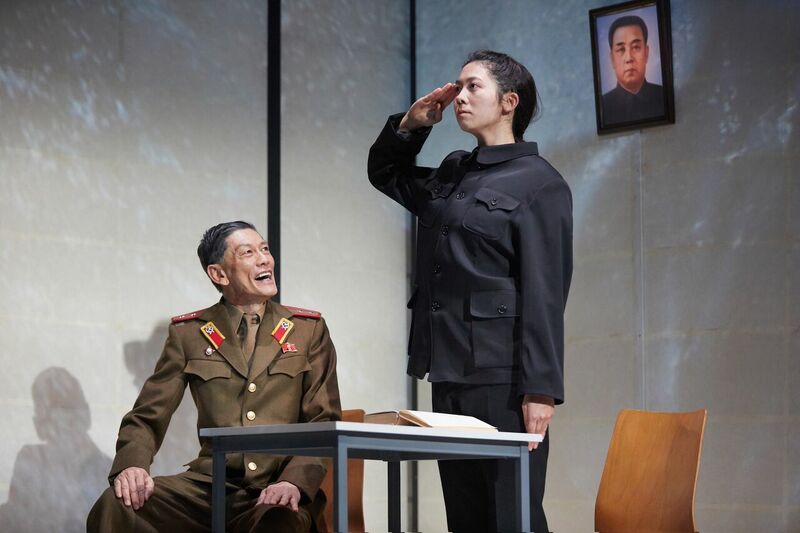 Rider’s transformation to dedicated North Korean is particularly impressive, whilst Kae Alexander and Rosalind Chao grieve with touching intensity and sincerity. Kwong Loke, too, as Hanako’s gaoler and persecutor is utterly convincing as an intransigent, unyielding servant of the system. As good a portrait of the rule of fear and its consequences as we’re likely to see this or any year. 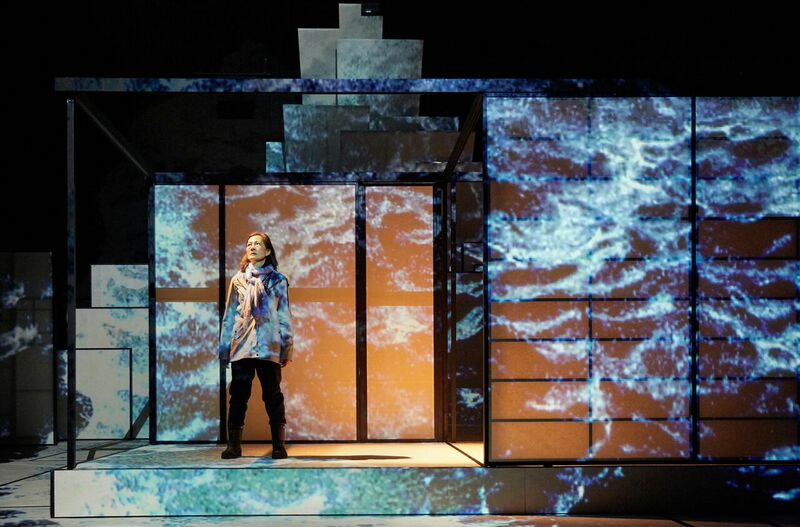 World premiere of this production of The Great Wave in the Dorfman, National Theatre, March 19, 2018. Runs to April 14, 2018.
Review published on this site, March 22, 2018. This entry was posted in 2018, Reviews and tagged abductees, Dorfman, family drama, geo-politics, Indhu Rubasingham, Korea-Japan relations, National Theatre, Tom Piper on March 22, 2018 by Carole Woddis.